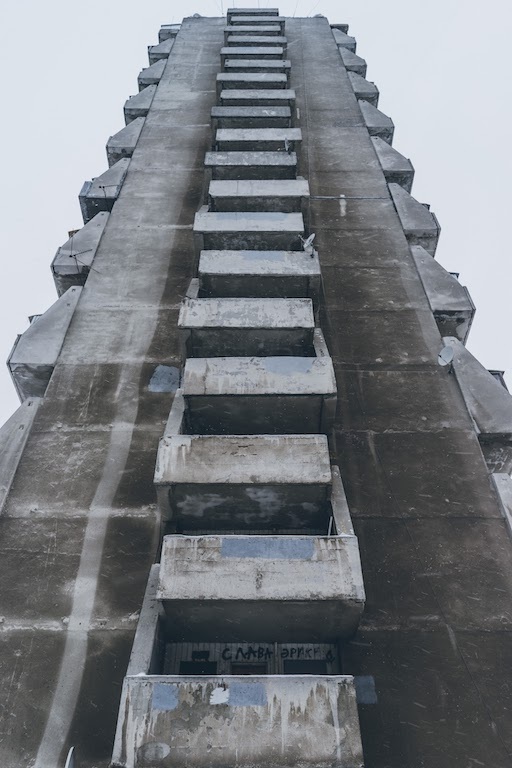 ‘I was like an archaeologist amongst the ruins’, explains Arseniy Kotov a worker at one Russia’s last great concrete factories and a Brutalist documentarian. This is his extraordinary story. 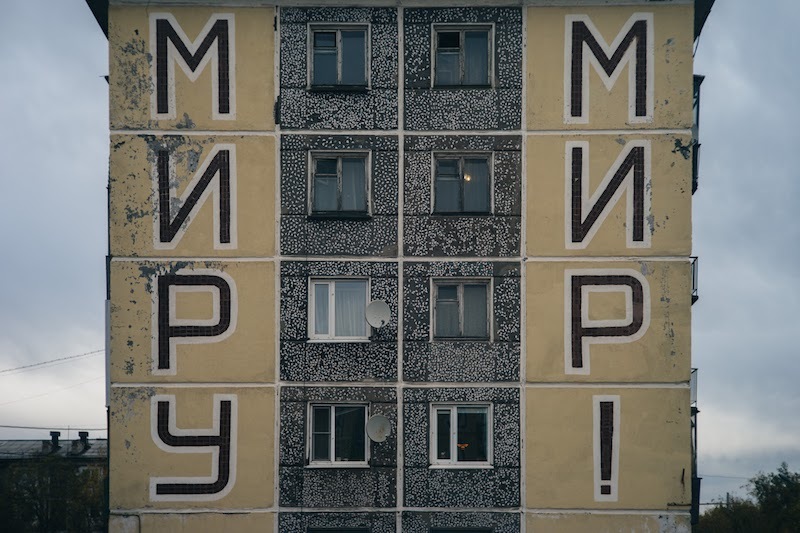 Britain may have been in the grip of industrial unrest in the 1980s, but 2670 miles away Arseniy Kotov had other things on his mind as a resident of Samara in South Eastern European Russia. 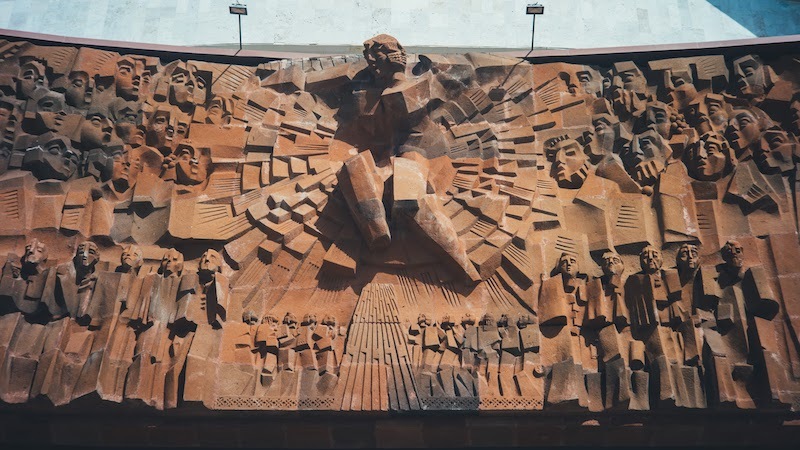 For Kotov he knew something unusual: he realised that his experience working in a factory in a closed city in the dwindling years of the Soviet Era afforded him an extraordinary moment in history. ‘It didn’t take much of a stretch of my imagination to recognise that I was like an archaeologist amongst the ruins of a great ancient civilization’, he wryly says. 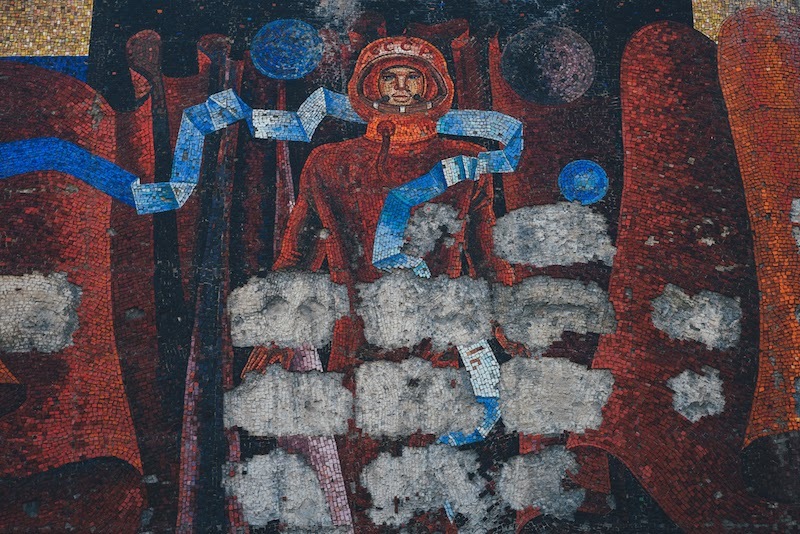 Kotov was a witness to the last breath of the Soyuz Rocket Factory, a crumbling document of Soviet era architecture. ‘During lunchbreak I was able to roam freely, undisturbed, exploring a semi-abandoned factory. The workshops unchanged since the 1980s, high tech then, now outdated’. 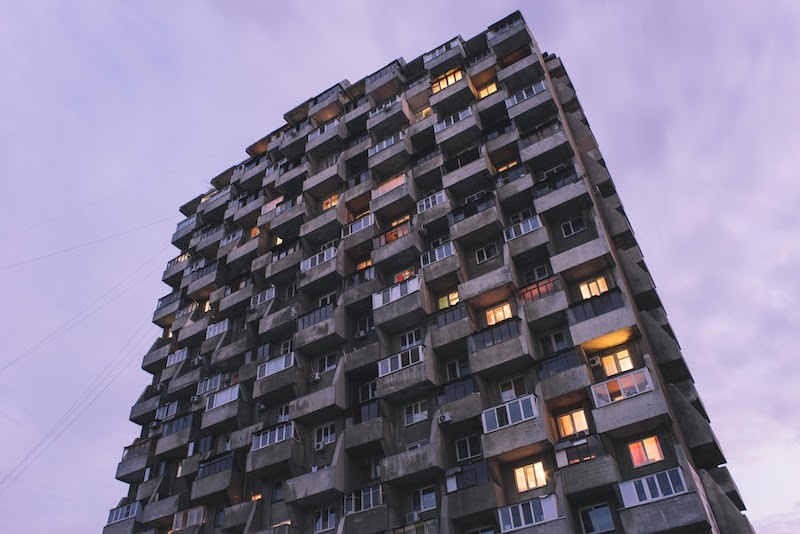 The story begins in 1988 in the city of Kuybyshev [now: Samara Oblast] as it was once known. Kotov was, as he put it a ‘Soviet kindergarten kid educated in Project V-76’, referring to the soberly named school he was educated in. 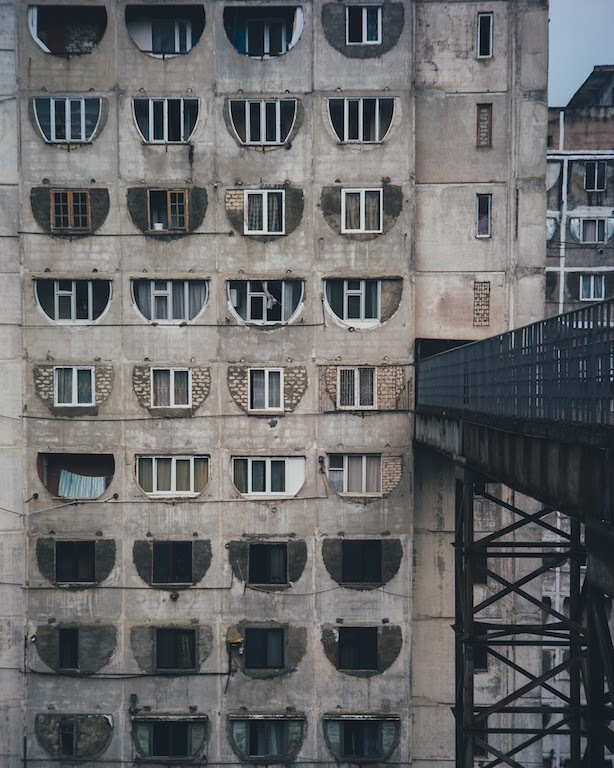 ‘By the age of three my place of birth was Russia’s sixth largest city and had been rebranded Samara’, he explains, ‘The architectural landscape that informed my upbringing was hard, strong, bold, urban and curiously memorable even though I had nothing to compare it to. It would have stood in stark contrast to a typical western European town, but it was my normal’. 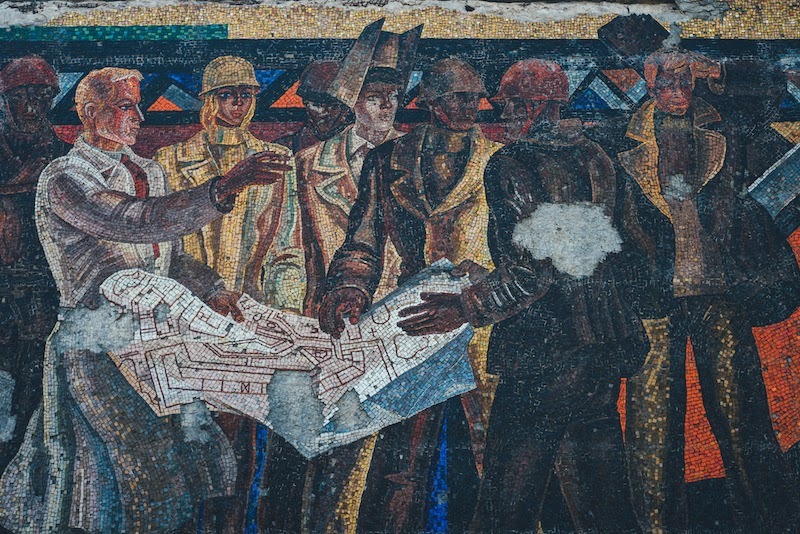 ‘The development of the Soviet urban project was on a scale that is hard to fully grasp. It was huge in size and ambition and orchestrated centrally by people with a vision to redesign the concept of cities. And, with their strong arm, they were able to roll out their plan across the country. The appearance of an individual home became irrelevant, the aim was to achieve uniform utilitarian housing. ‘Every city, town and neighbourhood looked the same, with standardised residential that always featured a public space, school, a kindergarten, shops and a hospital. Ironically, though everything was brutalist the overwhelming uniformity meant that there were no standout unique buildings. 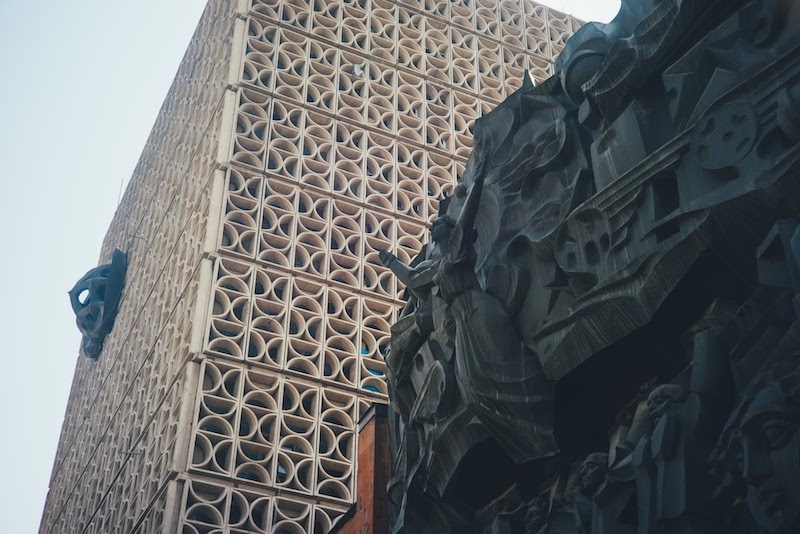 ‘When I entered higher education my campus was decorated with beautiful monumental mosaics and art all extolling the virtues of the glorious Communist future…that would never come. Nestled in the heart of the University was an abandoned open air museum complete with military planes and helicopters. ‘It wasn’t until 2005 that the chug of change came to Samara. 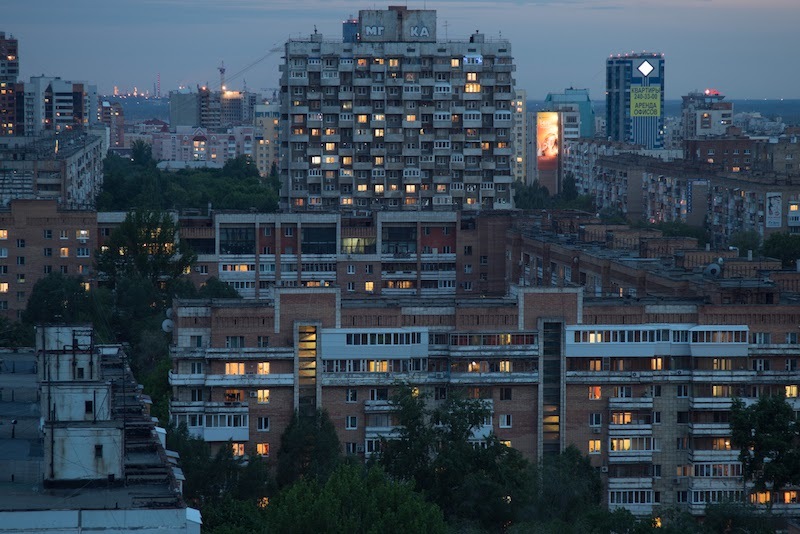 New districts appeared on the edge of cities and in turn, the traditional Soviet-Socialist urban design was overshadowed by new high-rises. In the stark concrete landscape shined unfamiliar modern architecture, bright, colourful and contrasting. ‘Sadly today it has become harder and harder to find untouched, authentic original city landscapes from the Socialist era. The landscape is changing so rapidly and older districts are being demolished or painted lurid colours. The country’s Soviet past is being rubbed out and pushed under the rug. For all it’s problems, destroying, removing or erasing our heritage extinguishes what makes us unique and unlike anything else in the world. 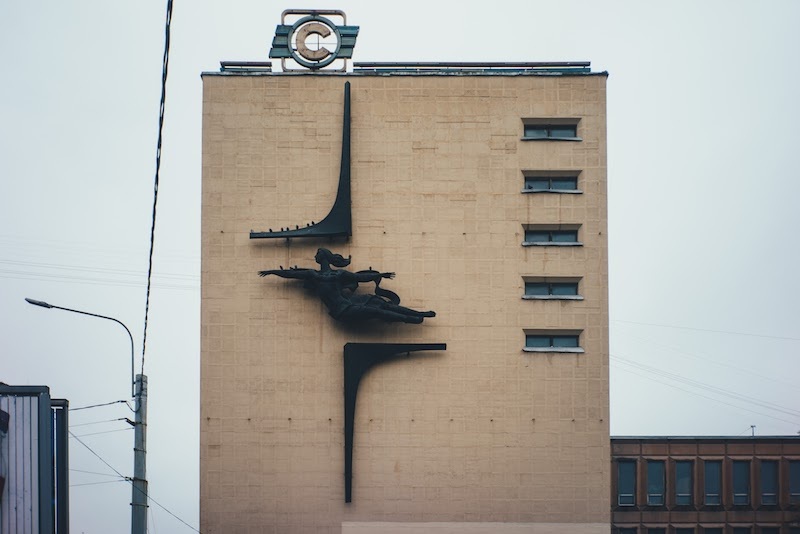 ‘For the last few years, I’ve travelled widely in the former Soviet Union – crossing from Saint Petersburg to Sakhalin – visiting most of the post-Soviet Republics. Using the power of photography, I’ve chronicled these once typical urban landscapes and the local Monumental art.